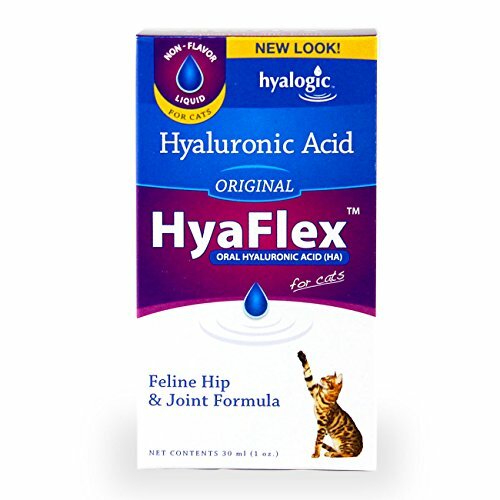 HyaFlex™ for Dogs is a liquid high molecular weight Hyaluronic Acid for oral use. This canine formula supports your dog’s healthy joint and cartilage function. Hyaflex has no harmful ingredients added and is essentially odorless, tasteless and colorless. What is Hyaluronic Acid? Hyaluronic Acid is the motor oil for the joint. HA is a mucopolysaccharide that occurs naturally throughout the horse’s body. Backed by hundreds of clinical trials in the fields of orthopedics and eye surgery, HA lubricates joints as an integral component of synovial fluid.Why is the molecular weight of supplemental Hyaluronic Acid important? There are benefits derived from higher molecular weight acid. The higher molecular weight acid can hold more water, thus better lubrication properties. Hyaflex is one of the purest and highest in molecular weight. How does Hyaluronic Acid compare to glucosamine or chondroitin? Glucosamine is a precursor of Hyaluronic Acid. HA in turn makes the synovial fluid. Glucosamine combines with a glucoronic acid molecule to make Hyaluronic Acid. Often times the body is not able to join these two molecules together and the production of the much needed HA is often not achieved. By administering Hyaluronic Acid, you take away the risk of this integral process not happening.WHY HYALOGIC? Your pets are a part of your family. They depend on you. At Hyalogic, we focus on the natural, well-being of your beloved pets. When we develop our premium, hyaluronic acid products, we consider not just your pets, but you; the people who love them. A healthy pet makes your life easier, too. We understand the unconditional love our pets give us and we create products that help you give that love back. Our premium quality ingredients and commitment to natural pet care separates us from other animal health companies. HyaFlex is Hyaluronic Acid (HA) in solution for oral administration. The Hyaluronic Acid in HyaFlex is one of the highest in molecular weight. 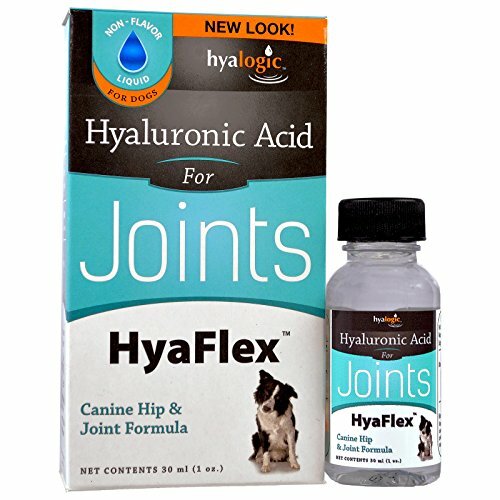 HyaFlex Oral HA helps to support your pet's joints, skin, eyes and gum health. Hyaluronic Acid is naturally produced by the body and is a constituent of synovial fluid that cushions and lubricates the cartilage between the joints.